SOLD Weave poles - $195 Set of 12 poles in three 2-pole sections and two 3-pole sections. TAKEN Wooden dog walk. The two ramps are detachable. Since the middle section is one piece, it will either require a large trailer or disassembly for transport. Free. SOLD 8 pairs of heavy duty tunnel bags (with or without the sand). The velcro no longer works, but these tunnel bags have very strong handles, and I used nylon rope to secure them to each other. $25 per pair or all 8 pairs for $150. Two 4' jump bumps. $5 each. 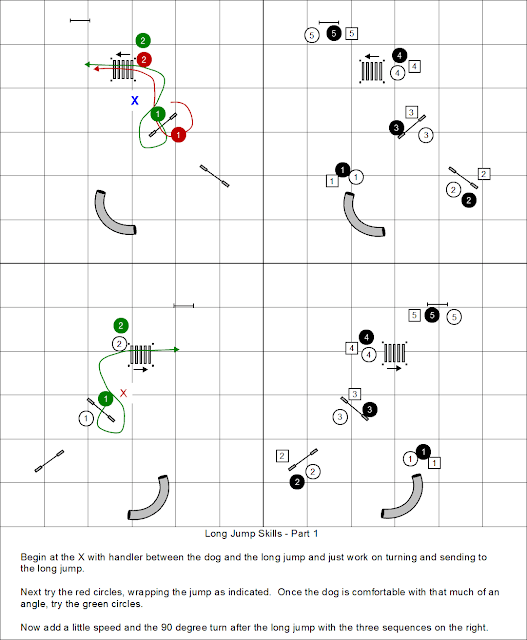 Seven 4' wingless jumps - Sorry I only have four bars. I used sliding jump cups for safety-one pair per jump. 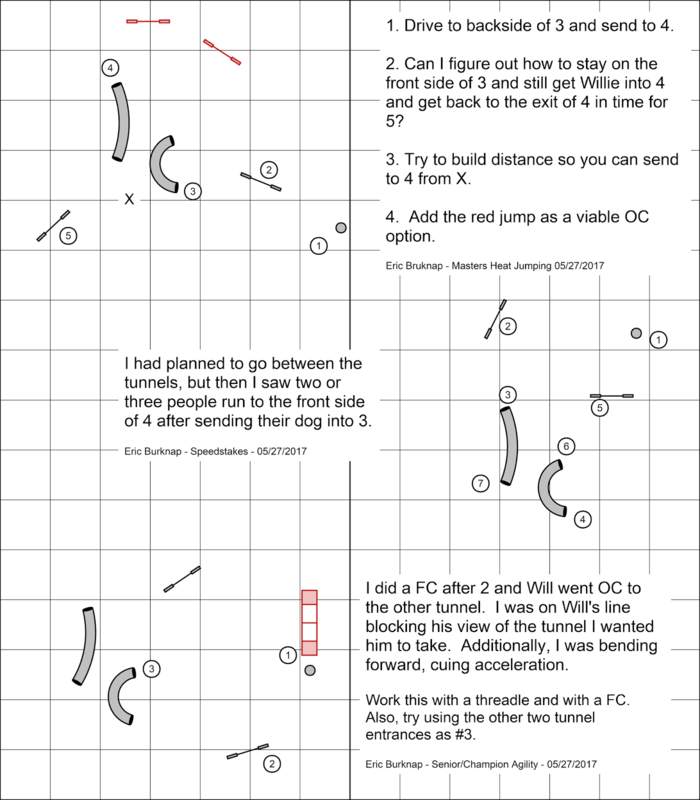 $5 per jump w/bar; $3 each for the jumps without bars. $25 for all seven. 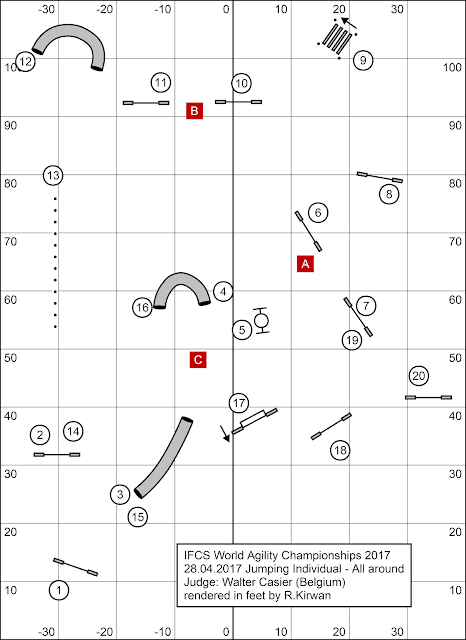 I decided to tackle this year's IFCS WAC Individual Jumping course. 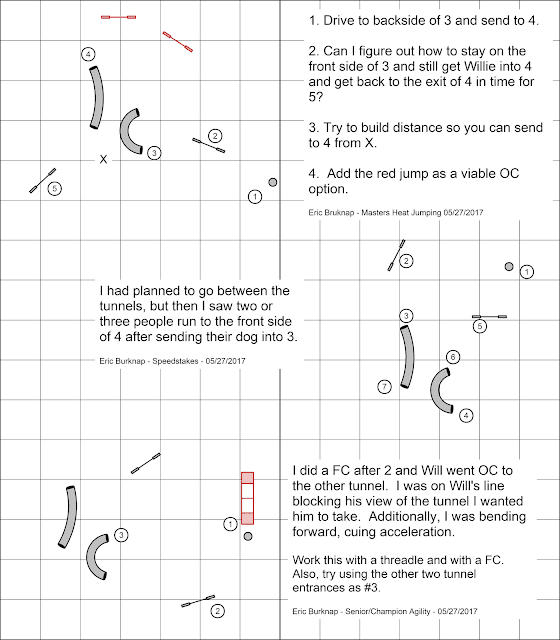 Esteban Fernandezlopez analyzed the run-off run of Stanislov Kurochkin for the members of the Bad Dog Agility Academy, and I wanted to see if I could get where I needed to be on this course. You can see Kurochkin's run here. The red squares represent three critical handling positions. A is for the threadle from 6 to 7, B is for the threadle from 10 to 11, and C is for the #16 tunnel. We worked on the course in sections throughout the day and then put it all together. 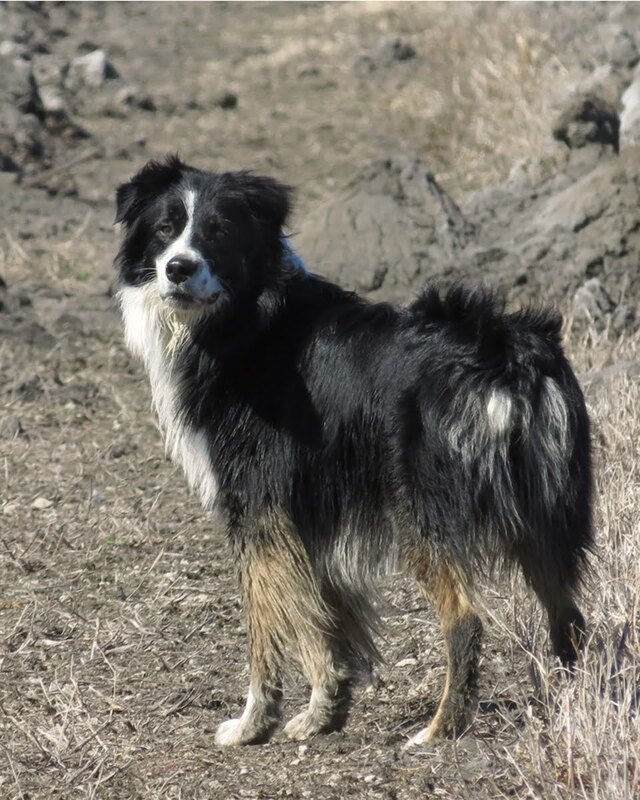 In May, Will and I went to a UKI trial judged by Eric Burknap. There were three tunnel challenges in his courses that I wanted to set up and work on at home. It took me more than a month to get around to it, but we finally had a chance to work on them today. Here are the sequences we worked on. Each contains the original challenge from the trial, and one of them contains an additional tunnel challenge. Have fun. I joined Justine Davenport and Jessica Patterson's Shape Up or Ship Out group. I was able to set up some of the courses from the first two lessons, but as winter settles in, I will have to content myself with just working some of the drills and skills when weather permits. On the bright side, I'll have no shortage of courses to choose from come spring.